We provide experienced leadership clients can trust to help achieve their missions in their effort to create a better financial future. The Jbara and Rogers Financial Management Group, a team of nine experienced financial services professionals, was founded by Executive Directors and Financial Advisors Mark J. Rogers, CIMA® and Gary W. Jbara, CIMA® CRPS®, in 1984. We advise institutional organizations, high-net-worth individuals, and family offices. Whether you are planning for the benefit of an organization or for the future of your family, we help you create a comprehensive financial strategy based on your unique investment policy. • We provide guidance for the complex issues facing foundations and endowments through Consulting Group Institutional Services. • We develop customized Retirement Plan Strategies such as cash balance plans and 401(k) plans for our corporate clients. • We offer access to Family Office Services, connecting ultra high net worth investors with resources to help create family legacies, maximize family values, and enrich their lifestyle. • We provide our private clients with Retirement Management strategies focused on downside risk mitigation and cash flow stability. 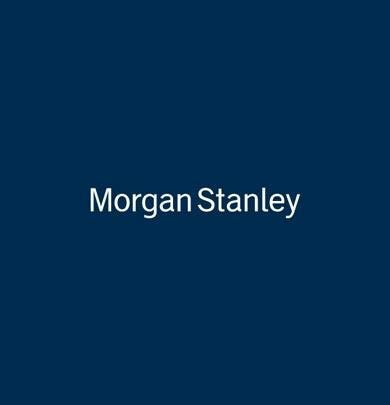 • We help develop Morgan Stanley’s Investing with Impact platform, offering investments that aim to generate market rate returns while supporting causes important to our clients. Forbes Magazine recognized Mark Rogers and Gary Jbara on its list of America’s Top Wealth Advisors: State-By-State in 2018 and 2019. The award recognizes experienced Financial Advisors across the country who are setting the standard for professionalism and dedication. The ranking, developed by Forbes’ partner SHOOK Research, is based on an algorithm of qualitative and quantitative data, rating thousands of wealth advisors and weighing factors like revenue trends, AUM, compliance records, industry experience and best practices learned through telephone and in-person interviews. 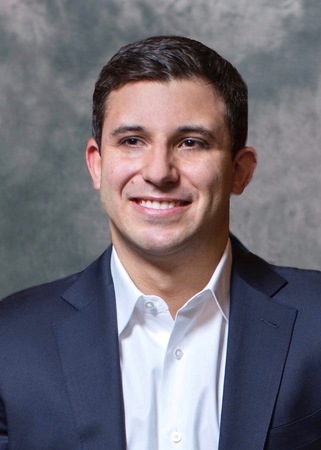 Forbes Magazine named John Rogers to its inaugural list of America’s Top Millennial Advisors in 2017 and 2018. How the award is determined: The new Forbes listing is a select group of individuals who were born in 1980 or later, have a minimum of four years of industry experience, and lead or are viewed as potential leaders of their teams. The ranking, developed by Forbes’ partner SHOOK Research, is based on an algorithm of qualitative and quantitative data, weighing factors like revenue trends, AUM, compliance records, industry experience, and best practices learned through telephone and in-person interviews. NAPA (National Association of Plan Advisors) recognized the team on its list of 2017 and 2018 Top DC (Defined Contribution) Advisor Teams with AUA over $100 Million. NAPA’s list of Top DC Advisor Teams is a valuable Who’s Who of who matters in the world of retirement plans and retirement plan advisors based on the team’s defined contributions assets under management. Crain's Detroit Business selected John Rogers for its list of young professionals who are making a difference in their communities. John was recognized for promoting Impact Investing at the Morgan Stanley and throughout the country. Twenty in their 20's: Source: Crain's Detroit Business, May 7—13, 2018. The award is based upon a recipient's application and not upon any qualitative and quantitative criteria relating specifically to their position as a Financial Advisor. As such the award is not representative of any client's experience nor is it indicative of the Financial Advisor's future performance. Neither Morgan Stanley Smith Barney nor any of their Financial Advisors pay a fee to the Crain’s Detroit Business in exchange for the rating. Our experience and advanced training allows us to deliver best-in-class solutions to help our clients meet their financial goals. Our institutional clients want an experienced advisor to help navigate the complexities of today’s financial markets and regulatory environment. Consulting Group Institutional Services delivers the highest level of sophisticated financial advice, objective investment manager research, and global insights. We also offer an array of donor development services and help establish donor advised funds. We help our corporate clients manage Retirement Plans and understand their fiduciary obligations. We help establish and administer defined contribution and cash balance retirement plans for their employees. Our Family Office clients need access to resources and solutions designed to meet the needs of the ultra high net worth investors. Family Office Services provides resources for tax, trust and estate planning strategies; cash management and lending services, family governance; and lifestyle advisory. Our private clients require Retirement Management strategies that consider longer life expectancy, uncertainty tied to Social Security and changes in corporate retirement plans. Asset/liability matching and utilizing investments that focus on steady cash flow in all markets help our clients reach their retirement goals. Many of our clients are incorporating Impact Investing into their portfolios. The portfolios we construct seek market-rate financial returns and address global challenges, helping organizations and families leave a positive legacy to future generations. With over three decades as Financial Advisors, we believe we offer clients a depth of skills and knowledge that is seldom found in one Financial Advising team. Through experience, training and asset growth, Mark and Gary have earned the title of Executive Director at Morgan Stanley. Committed to providing their clients with the deepest level of investment knowledge and best practices in the industry, Mark and Gary earned their Certified Investment Management Analysts (CIMA®) designation from the Wharton School of Business at University of Pennsylvania. Gary’s Senior Institutional Consultant title gives foundations, endowments, associations and corporations access to exclusive institutional consulting resources. Through Consulting Group, the investment advisory arm of Morgan Stanley Wealth Management, Gary leverages global resources from across the firm to provide access to advice and investment manager analysis, while bringing you a personalized and local perspective. Corporate Retirement Director designation qualifies Gary to offer advanced resources and services for the administration of retirement plan, such at 401(k)’s, cash balance and defined benefit plans. Only approximately 2 percent of the firm’s Financial Advisors hold this designation. Mark and Gary are Family Wealth Directors – a certification earned by fewer than 2% of all Morgan Stanley advisors. They completed the rigorous training to offer clients and family offices access to ultra-high net worth resources and solutions. The designation allows them to provide clients who have a net worth greater than $10 million with a truly differentiated experience that leverages the already expansive resources of Morgan Stanley and our resource partners. Mark and John earned Morgan Stanley's Investing with Impact Directors designations because their advanced experience and leadership in working with clients that are motivated to generate positive environmental and social impact alongside market-rate financial returns. Investing with Impact Directors have access to firm-wide resources to differentiate them as specialists in the area of Impact Investing. We are frequently asked to speak at conferences and in the media about Sustainable Investing. In “A Father’s Case for Sustainability” on Morgan Stanley’s Institute for Sustainable Investing page, Mark discusses the importance of Impact Investing. • We build lasting relationships. Mark and Gary worked together for over 30 years. Many of our clients have been with us for decades. • Your interests come first. We treat each client fairly and equally. We are committed to acting solely in YOUR best interest. • We don’t follow the herd. We provide independent investment recommendations specifically related to your investment policy and needs. • We maintain an even temperament during periods of market uncertainty. Mark and Gary have guided clients through 30 years of market volatility. We commit to providing strong hands, communication and leadership. • Integrity matters. We maintain high ethical standards in everything we do, both in our work with the firm and in our personal lives. • Knowledge drives our process. 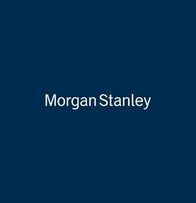 You can leverage the deep market wisdom derived from our decades of experience, advanced certifications and the resources at Morgan Stanley. We are advisors, teachers and leaders – not salespeople. • Teamwork makes us responsive. We have a staff of six to support the two Executive Directors, Mark Rogers and Gary Jbara. Constant communication allows us to keep you informed, so together we can monitor and adjust as we progress toward your goals. • We have an eye on the future. John Rogers, Financial Advisor, provides the millennial perspective for the group. His input on Morgan Stanley’s Impact Investing Champions Board helps guide the firm’s offerings in this emerging investing style. 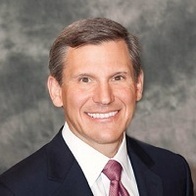 Mark J. Rogers, CIMA®, Executive Director, Financial Advisor and Family Wealth Director, has worked in the investment and financial consulting industry since 1985. He serves as a lead consultant and oversees strategic portfolio construction, asset allocation strategy, investment policy analysis, market research and day-to-day investment management responsibilities for client portfolios. Mark earned Morgan Stanley's Investing with Impact Director designation because of his advanced experience and leadership in Sustainable Investing. Mark is frequently asked to speak at workshops and in the media about the emerging Impact Investing field. As a Family Wealth Director, Mark provides an integrated approach to planning through Family Office. The business unit leverages sophisticated resources and exclusive tailored investment opportunities to help meet the complex needs of investors with significant wealth. These services include access to lending services, art advisory, personal and business risk management, wealth transfer strategies, family governance advising, impact investing and philanthropy coordination. Mark earned the IMCA Certified Investment Management Analyst (CIMA) designation from Wharton School of Business, University of Pennsylvania. He is a member of Investment Management Consultants Association (IMCA). He graduated from Michigan State University with a Bachelor of Arts degree in Business/Economics. Mark is founder and chair of the Birmingham Country Club Business Roundtable, a business networking group. 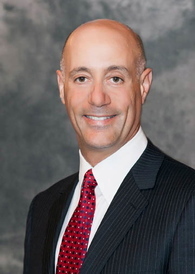 Gary W. Jbara, CIMA®, CRPS®, Executive Director, Corporate Retirement Director, Senior Institutional Consultant and Financial Advisor, has worked in the investment and financial consulting industry since 1985. Gary serves as a lead consultant and oversees strategic portfolio construction, asset allocation strategy, investment policy analysis, market research and day-to-day investment management responsibilities for client portfolios. As a Senior Institutional Consultant, Gary provides comprehensive resources for institutional investors through Consulting Group. These services include asset/liability studies, investment policy statement analysis, spending policy analysis, investment manager research and donor advised fund administration. In addition to asset management, Gary conducts committee and board member educational workshops and provides assistance with donor recruitment and education. The Corporate Retirement Director designation enables Gary to offer advanced resources and services for the administration of retirement plans, such at 401(k)’s, cash balance and defined benefit plans. Gary can offer contracted services to clients, including enhanced assistance with vendor selection and investment reviews, manager selection, and 3(21) or 3(38) fiduciary oversight. Gary earned the IMCA Certified Investment Management Analyst (C.I.M.A.) designation from Wharton School of Business, University of Pennsylvania. He holds a Chartered Retirement Plan Specialist designation from the College of financial Planning. He is a member of Investment Management Consultants Association (IMCA) and a member of the Association of Professional Investment Consultants (APIC.) Gary received a Bachelor of Science degree in Mathematics and Business from the University of Notre Dame and an MBA from the University of Michigan. He serves as president of the Notre Dame Club of Detroit. John G. Rogers, Financial Advisor, serves as relationship manager for the group’s nonprofit, corporate and individual clients. He leads the group’s mission and impact investing initiatives and White Label Donor Advised Fund program. Forbes Magazine named John to its inaugural list of America’s 500 Top Next Generation Wealth Advisors in 2017. John was one of 16 advisors from Michigan on the list. He was named to the list again in 2018. John is an Investing with Impact Director, a designation at the firm for specialization in the impact investing space. He serves on the Morgan Stanley Impact Alternatives Advisory Council. John spent a year as a product specialist at Morgan Stanley’s Consulting Group national headquarters in Wilmington, Delaware. He graduated from Northwestern University in 2012 with a Bachelors of Arts Degree in History, a minor in Business Institutions and a Certificate in Leadership. John is the president of the Detroit Country Day School Alumni Board. Christine A. Varvatos, Consulting Group Analyst, compiles fund updates and assists in the reconciliation of statements for our institutional clients. She develops customized client account reporting, prepares performance analytics and conducts investment manager due diligence. 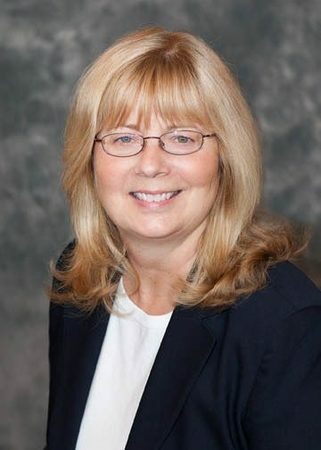 Christine earned a BBA in Accounting from Western Michigan University and a Masters of Science in Taxation from Walsh College. She holds Series 7 and Series 66 Licenses. Christines Consulting Group affiliation and experience as a CPA (non-practicing) provides clients with a distinctive resource. Jessica Francis joined the group in 2016 and quickly became indispensable. Jessica oversees account operations and manages client services for the group. She collaborates with the team to communicate with clients and anticipate their needs. 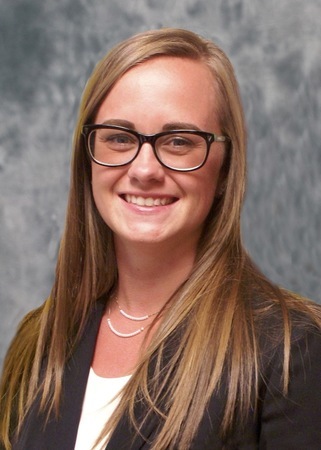 Jessica earned her Bachelor of Science degree in Secondary Education with a major in Mathematics from Central Michigan University. She holds a Series 3 License. 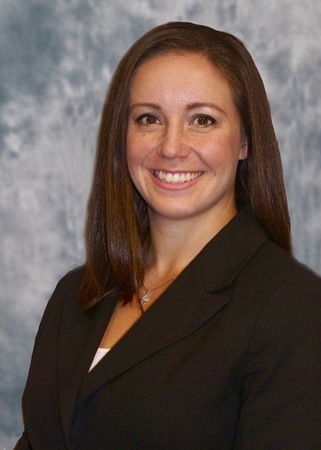 Jessicas attention to detail helps her deliver comprehensive client services. Yvonne McMillan handles new account openings, account updates, scheduling and account administration for the group. Before coming to Morgan Stanley in 2017, she was a Private Client Banker. She worked in the banking for 12 years. Yvonne’s experience in banking makes her well qualified to provide efficient customer service and account support. She graduated from Hillsdale College with a Bachelor of Arts degree in International Business from Hillsdale College. Her friendly voice is often the first one clients hear when they call a member of the group. 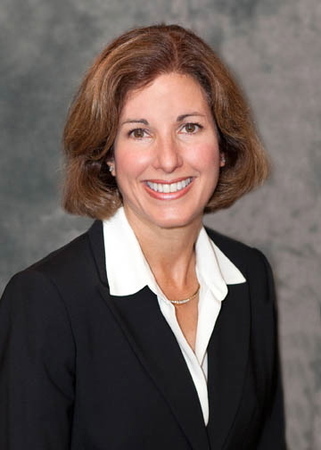 Stacey Rogers develops client communications, organizes client events and creates marketing materials for the group. She can assist institutional clients with preparing promotional pieces related to fundraising and donor awareness. Stacey has a Master of Advertising and a Bachelor of Arts in Advertising from Michigan State University. Stacey develops strategies to communicate more effectively on behalf of our clients. Ready to start a conversation? Contact Jbara and Rogers Financial Management Group today.